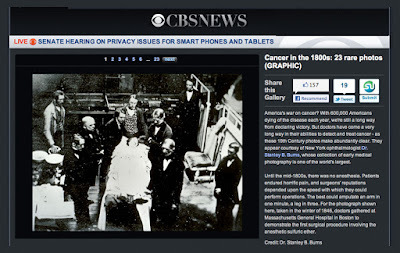 CBS News Heathwatch has produced another feature with Dr. Burns- Cancer in the 1800s: 23 Rare Photos From the Burns Archive. 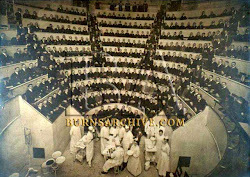 View images ranging from the first surgical procedure involving the anesthetic sulfuric ether to a remarkable story of the removal of a giant ovarian tumor. Please click HERE to view the feature. America's war on cancer? With 600,000 Americans dying of the disease each year, we're still a long way from declaring victory. But doctors have come a very long way in their abilities to detect and treat cancer - as these 19th Century photos make abundantly clear. They appear courtesy of New York ophthalmologist Dr. Stanley B. Burns, whose collection of early medical photography is one of the world's largest.